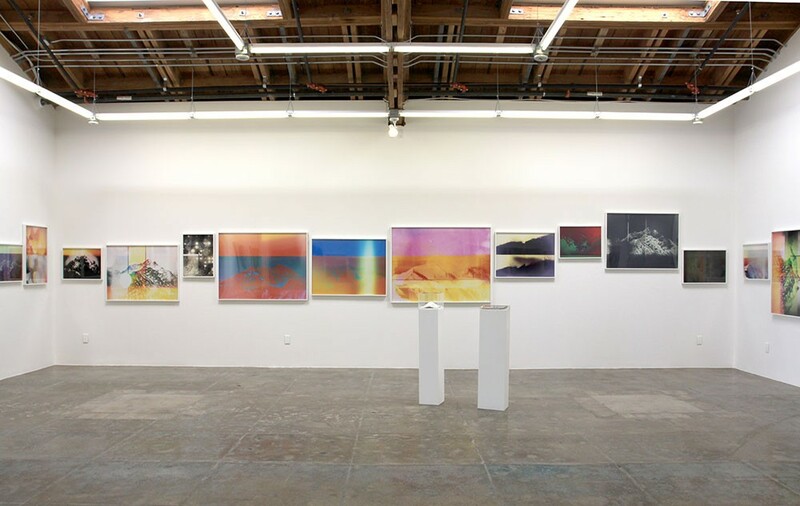 Range: of Masters of Photography considers an analog history of photography within the digital torrent that is its current technological manifestation. 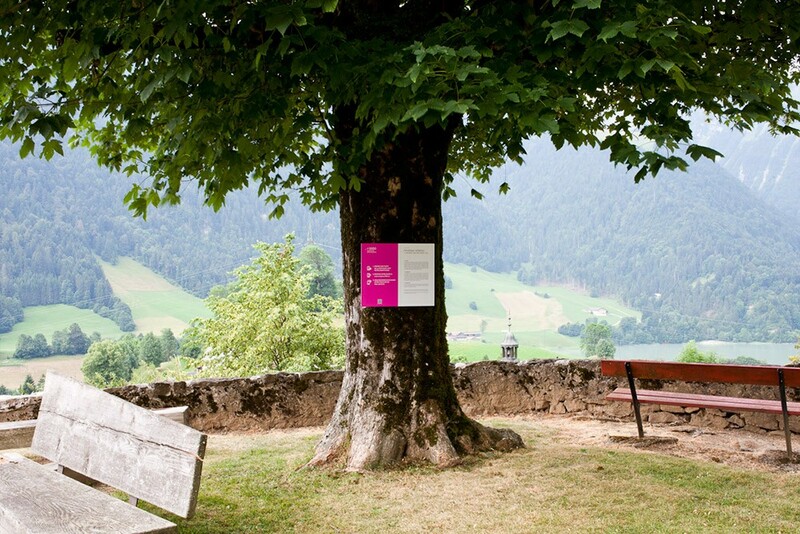 For this project I focus on iconic images of mountains in various online and print media such as Aperture’s Masters of Photography book series. 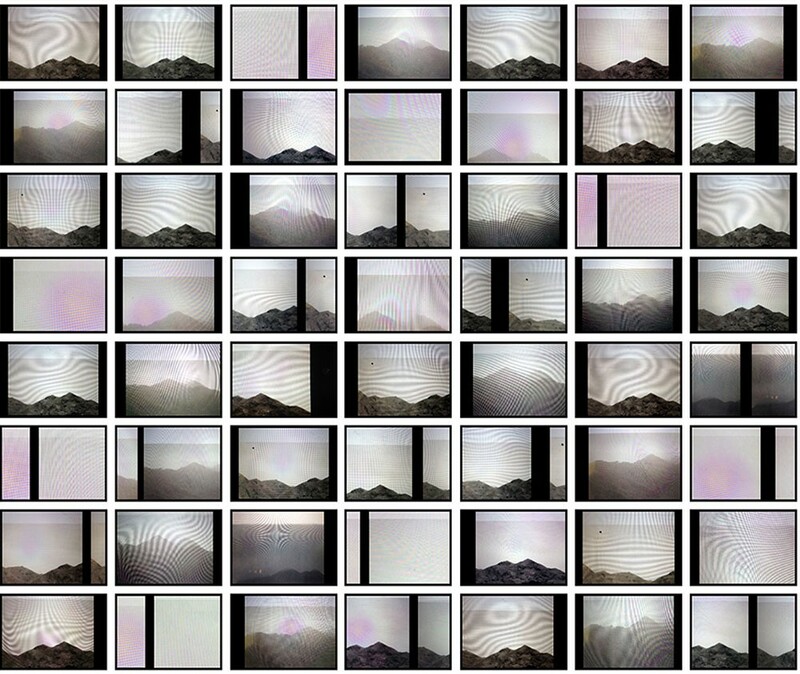 I downloaded hundreds camera apps for my iPhone to re-photograph the masters’ mountains and process them through the multiple filters of the camera apps. 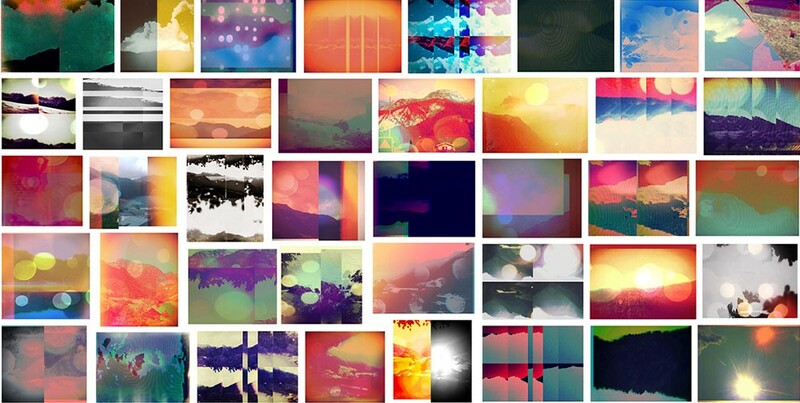 Photo grain, dot-screen, pixel, and screen resolution collide performing undulating moirés. 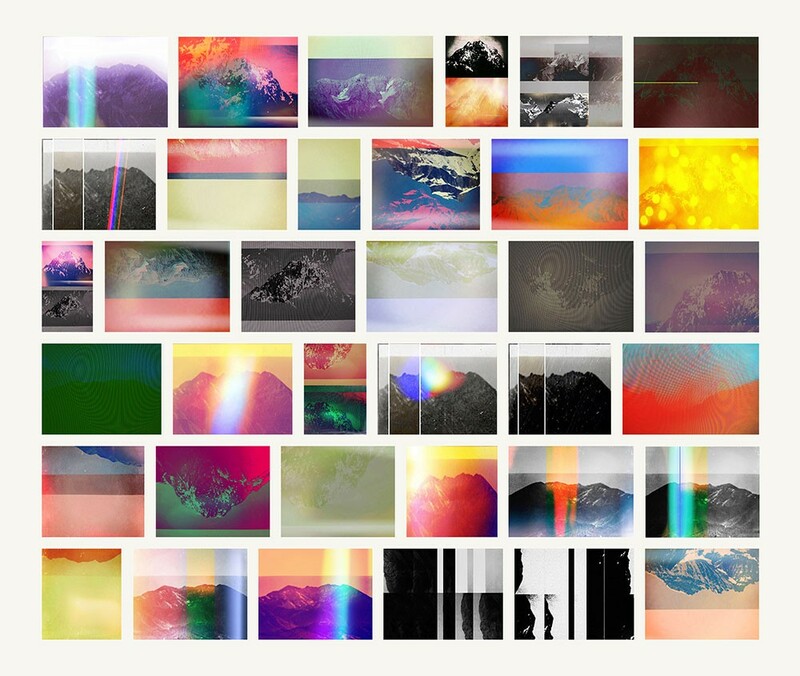 The hallucinogenic colors of the camera app filters blend with the disorienting effects of the iPhone’s gravity sensor to dislodge any perception of stability in the mountain, the master (most often gendered as male), or the photographic medium. 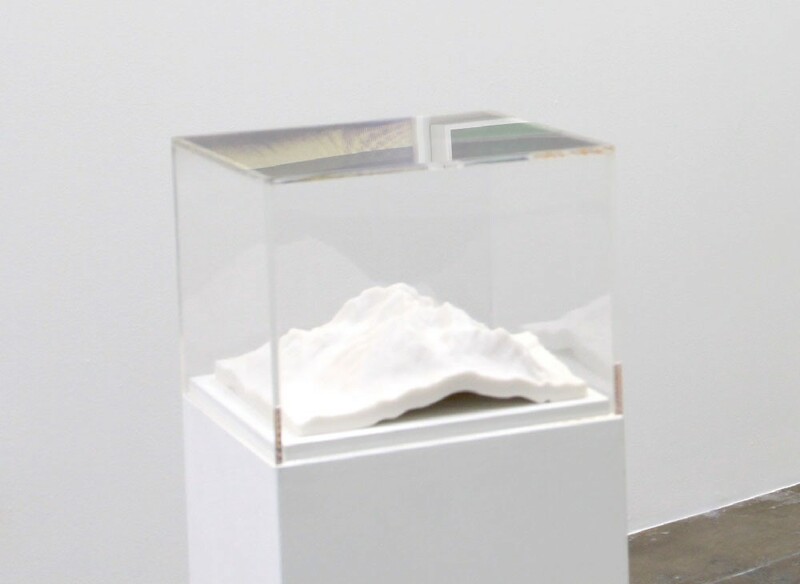 In this work the mountain, the oldest landmark, site of orientation, and spiritual contemplation, becomes unstable, mobile, has no gravity, and changes with each iteration. Central to this work is the overwhelming number of camera app filters that simulate the mistakes of analogue film photography. Light leaks and chemical burn filters are especially absurd in the context of both analog photography and smart-phone camera technology: ‘master’ photographers would never accept such mistakes in their work, and the impossibility of holes, gaps, spatial volume, or liquid chemical necessary to produce these effects, stands in complete opposition to the very apparatus simulating them. If light is the first and foremost element of all photography, the role of light in this context is inverted. These “leaks” are the result of an algorithm loaded into the vacuum of a chip, capable of producing nearly endless variations within the space of a few seconds. 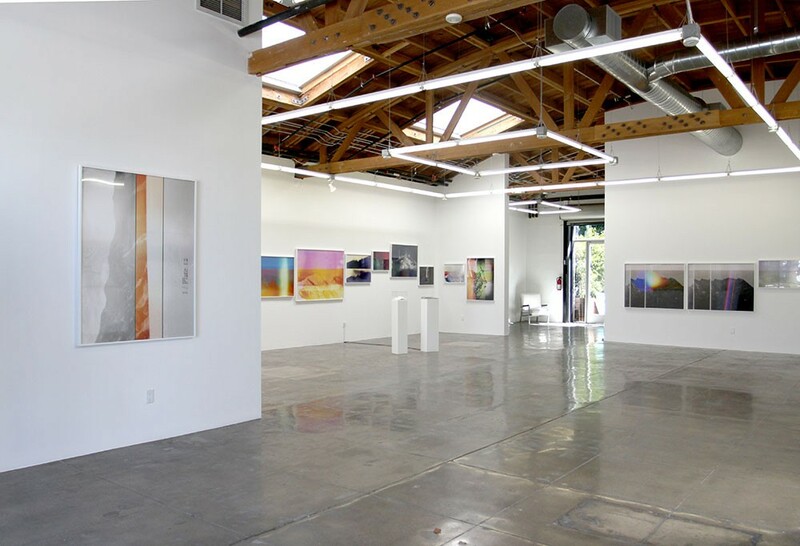 Range: of Masters of Photography presents a dialogue between distance and proximity, limited and unlimited, the singular and the multiple, the fixed and the itinerant, the master and the copy. 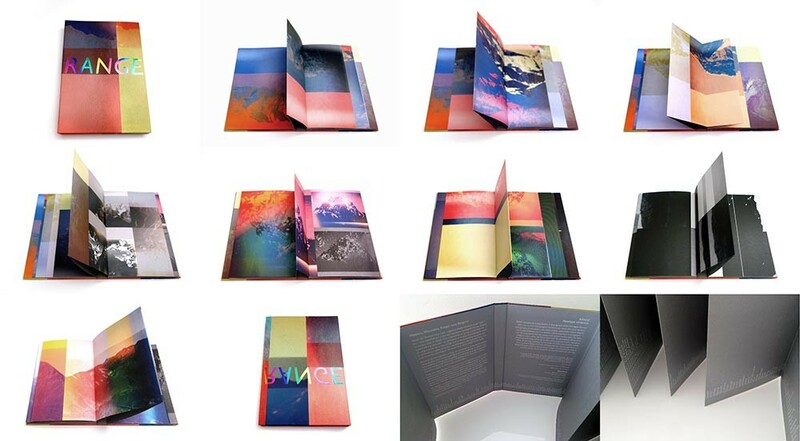 Below are a few projects and iterations that have developed from Range: of Masters of Photography. Aperture Remix invited ten contemporary photographers – Rinko Kawauchi, Vik Muniz, Taiyo Onorato and Nico Krebs, Martin Parr, Doug Rickard, Viviane Sassen, Alec Soth, Penelope Umbrico, James Welling –to select an Aperture publication that was influential in forming their work, and to pay it artistic homage. I chose the Aperture’s Masters of Photography Series. After I dowloaded on my iPhone as many camera app as I could find, I then re-photographed the mountains I found in the Masters of Photography Series using their various filters. 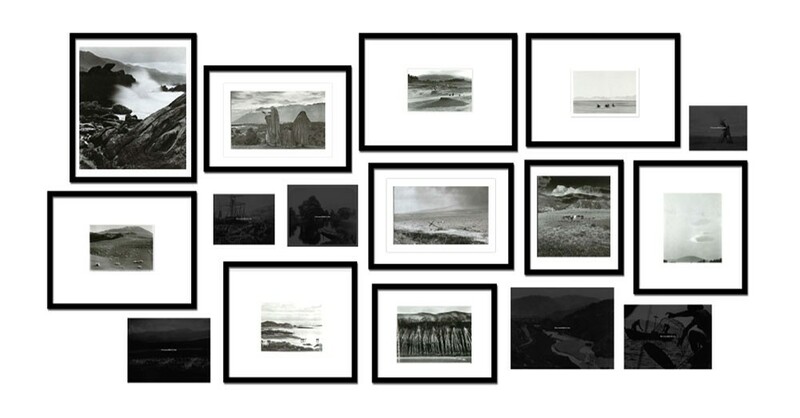 Above left and below: Hanging along side the grouping of 87 prints in the exhibition Aperture Remix were 9 vintage prints of the 16 images I used in the Masters of Photography series - there were 16 with mountains – but only 9 were available for loan. For the 7 that were not available, we made dark reproductions as placeholders to emphasis the singularity of these prints in contrast to the multiplicity of my iPhone pictures of them. 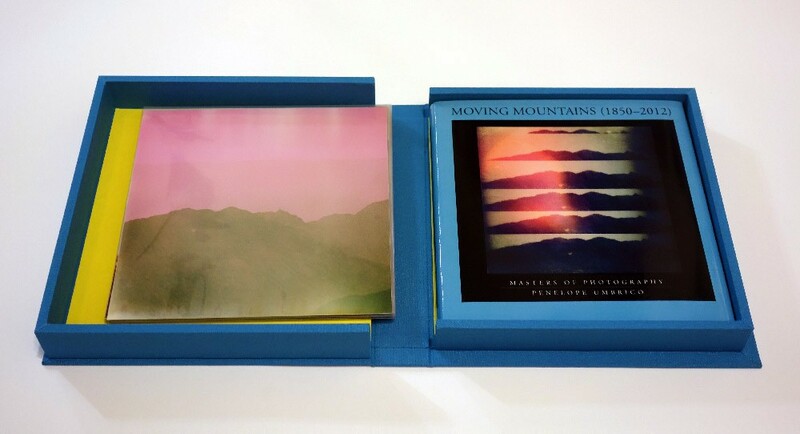 Moving Mountains (1850-2012) is a limited-edition book that was created for the exhibition Aperture Remix and published by Conveyor. This publication drawing on the format and design of the Master Series, included over seventy-five images out of the hundreds created as part of my process; subsequently, I have created an eBook containing over one hundred images, downloadable for free on iTunes from Aperture — note this is Aperture’s first free ebook. I propose that we look at the mountain in front of us together - not as individual authors making unique pictures but as a collective group looking together, acknowledging that we commonly use the same mutable smart-phone imaging technologies, and are acquainted with the same iconic images. With respect to the stability of this iconic mountain, I propose that we offer to our smartphones a chance to dialogue with its ancient antithesis. 3. Trade 1: The camera apps on my smart-phone will learn from your image – a process of give and take, addition and subtraction, overlay, fragmentation, and reconstitution: an image-to-image dialog that results in a trade between the original photograph of a mountain and a new construct of that mountain, produced through digital ideas about analogue photography. A new mountain image is made. 4. Trade 2: I will send you this new image: I acquire new material; you acquire my work (I will include specific instructions in case you want to print it). These exchanges take place smart-phone-to-smart-phone, never leaving devices that record, receive, process and send, for the duration of the Alt+1000, 2013 Festival. There were a total of 659 photographs emailed to me during the Alt+1000 Festival! 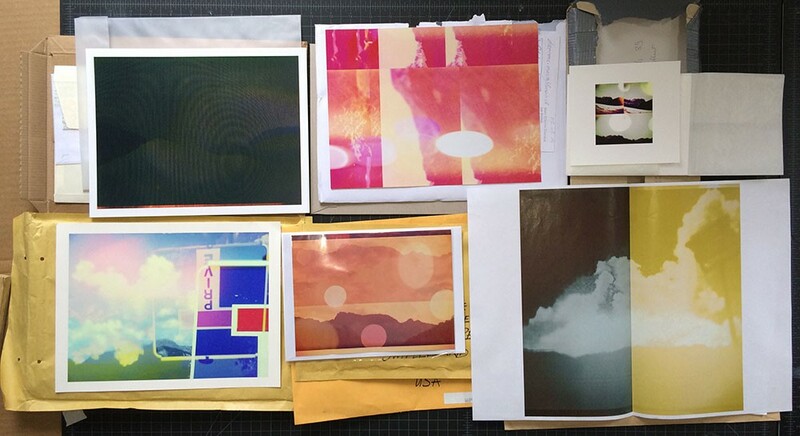 When I send the files back to the participants, I include an invitation to have the image be part of a 2 print edition. If they accept, I ask them to: 1. Make 2 prints of the image in any way they like (any size, any medium, any substrate) 2. Keep 1 print, and ship 1 print to me. When I receive their print, I send them a signed “certificate of authenticity” stating that their print is number 1 of 2 (and I keep the print they sent me as number 2 of 2). 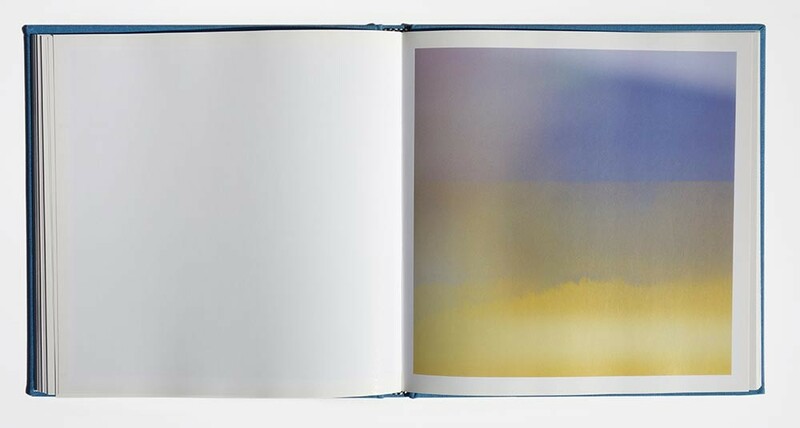 Constructed as an uneven accordion book in a continual loop, the mountains (with fake light leaks) become part of the structure of the book. The uneven folding mimics that of a mountain range. 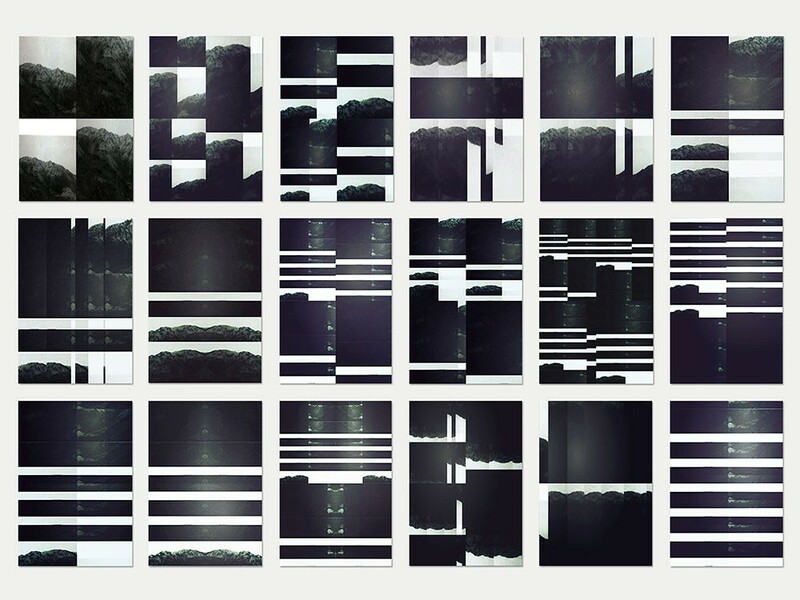 The inside of the accordion is printed silver, and a continuous list of all the camera app filter names runs along the bottom – the list is left-justified along the bottom, mimicking a mountain range as well. 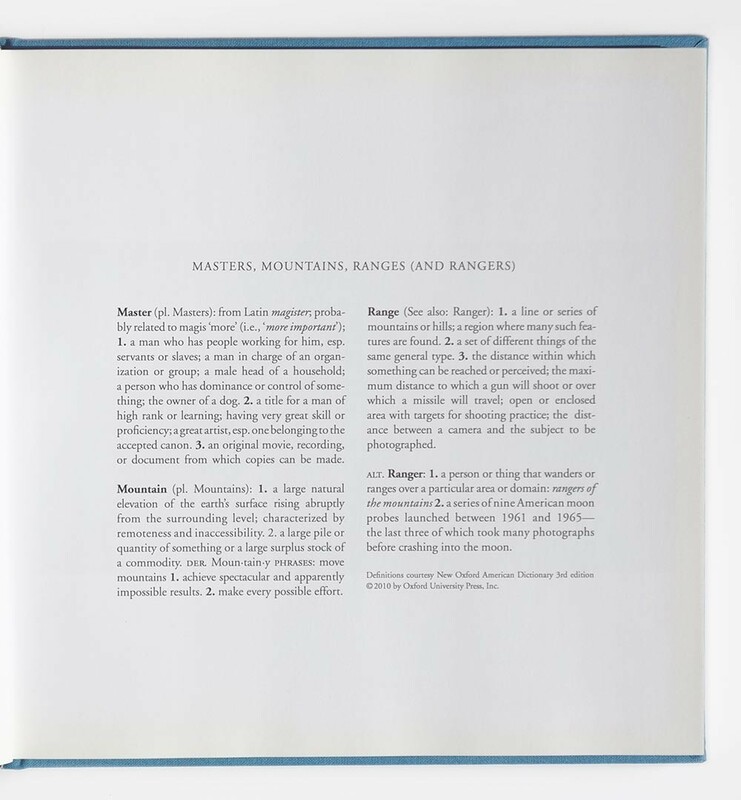 A project description text piece: Masters, Mountains, Ranges (and Rangers) is on the inside of the cover. 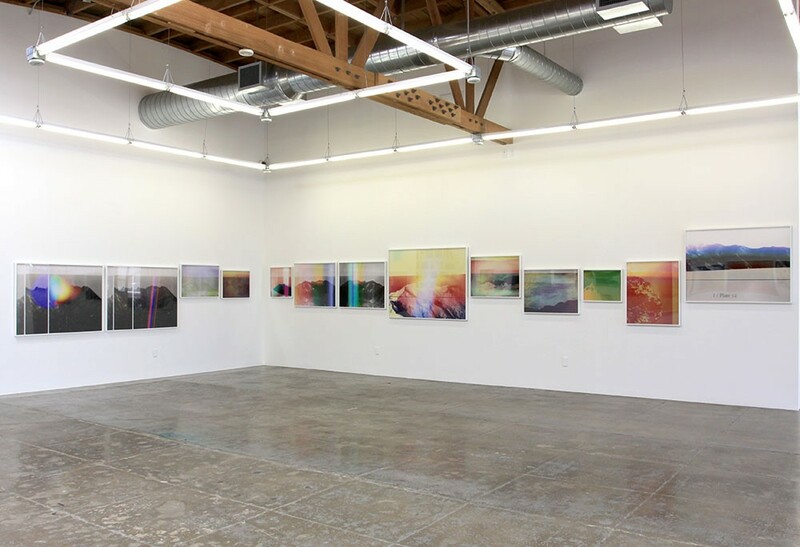 For this installation I hung the prints so that the edges of the photographs in books that I had rephotographed, or the graphic edge of a light leak in the camera app I was using, lined up to make a horizontal continuity throughout the gallery space. 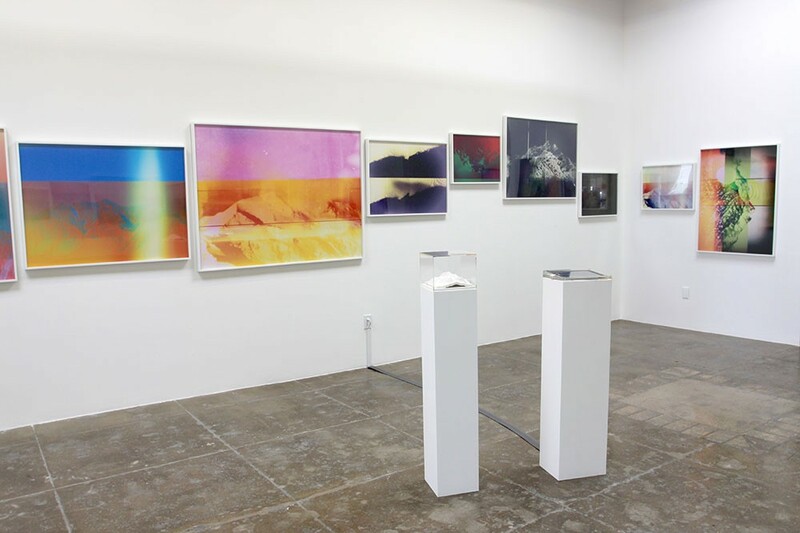 Accompanying the exhibition Range: Light leaks and Chemical Burns at Mark Moore Gallery, Master Copy (Mount Moran), takes one of the images of a mountain in the exhibition as a further investigation of the idea of a master point of view. 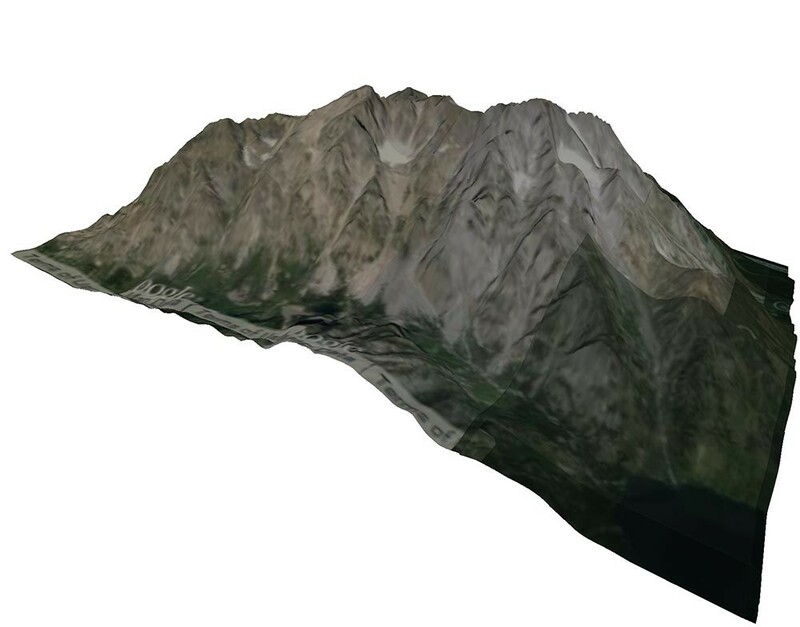 In collaboration with Thomas Storey, who’s work for this project translated Google Earth’s satellite photographs of the earth’s surface—the tiled texture-mapped model we’ve come to know as earth online—and extracts this data for the geo-location of Ansel Adams’ photograph, The Tetons and Snake River. 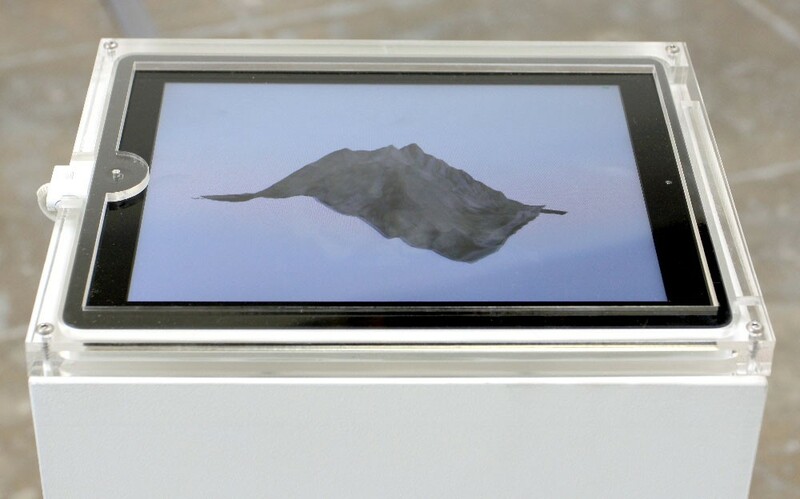 In this piece, the ancient stable form of the mountain, first captured as a singular monument in a photograph (a process which begins with natural light), moves in multiple iterations through infinitely reproducible and distributable code on the web (the manufactured light of pixel and 3D model), and ends with the image of Mount Moran on Google Earth becoming an independent object through the 3D printing of its associated image data. 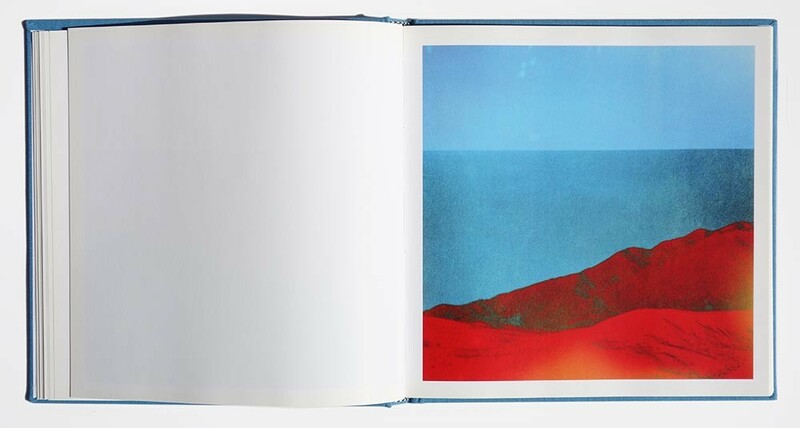 Master Copy suggests an equivalency here - if the individual photographers were once the masters of how we viewed the natural world, for better or for worse, we now view the world through a master Google lens. Taken from monumental earth through digital code, the mountain ends in reconstituted earth again - a small ceramic specter of a mountain. In a more recent iteration of Master Copy/Copy (Mount Moran) (2014), I made thin gypsum plaster casts of the 3D print, then hand sanded each of the tops flat, and supported each one with precarious toothpick scaffolding. I made these casts after the appalling news that our president had pulled out of the Paris climate accord. Here the mountain becomes fragile and somewhat falling apart. Lights illuminate them from the side casting shadows of the mounts on the wall to create a new “range”. If the mountain was once stable and fixed, our current climate puts this in question: In an era of “alternate truths” nothing is stable, everything is fragile.